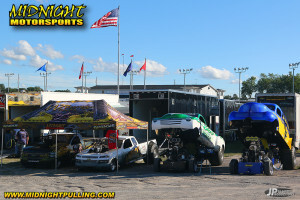 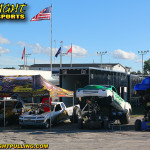 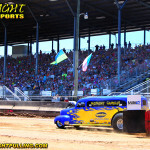 The Optima Batteries Super Modified Two Wheel Drive division invaded the Erie County Fairgrounds in Hamburg NY, on Friday and Saturday . 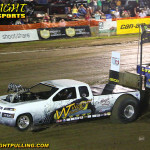 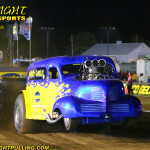 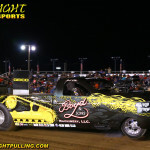 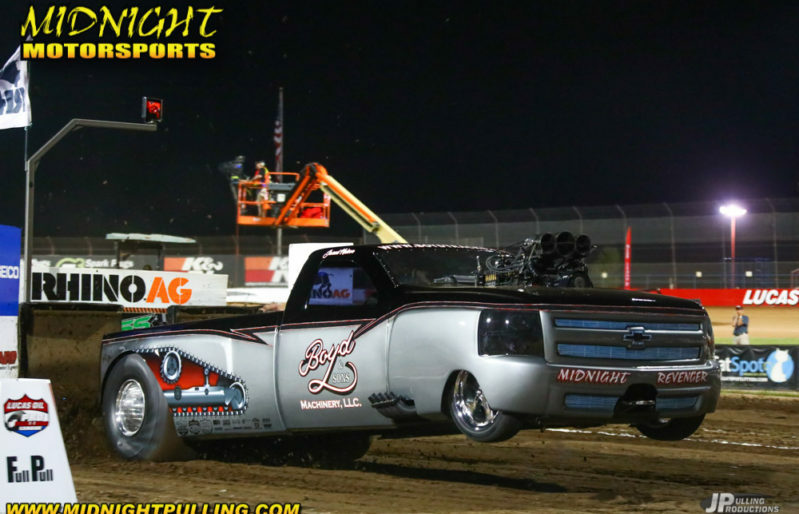 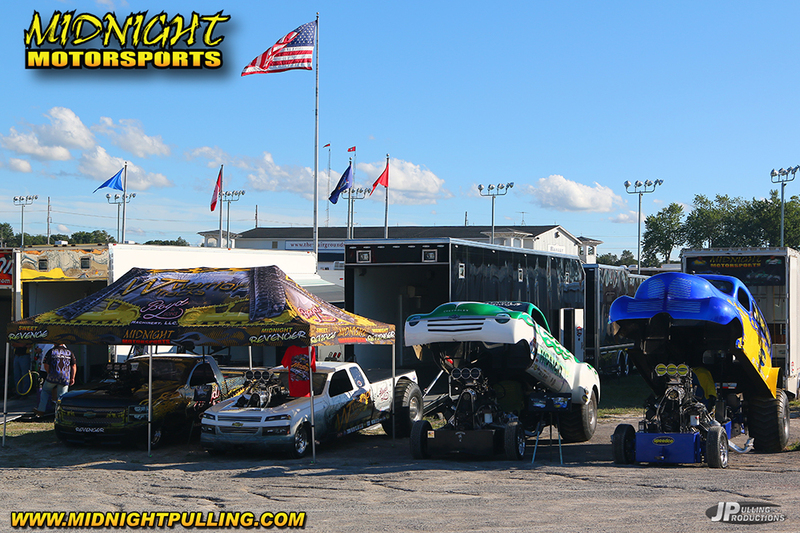 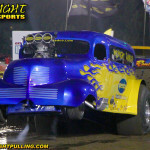 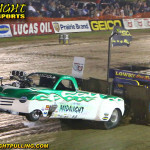 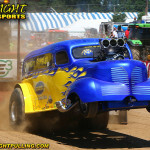 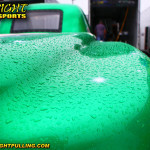 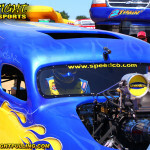 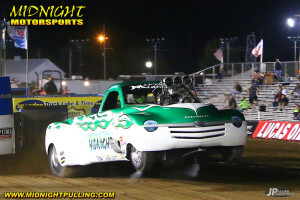 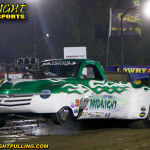 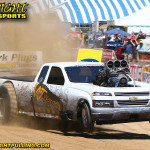 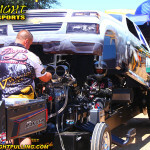 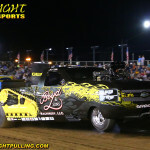 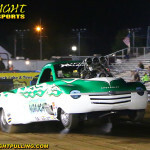 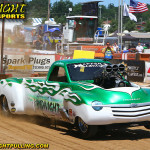 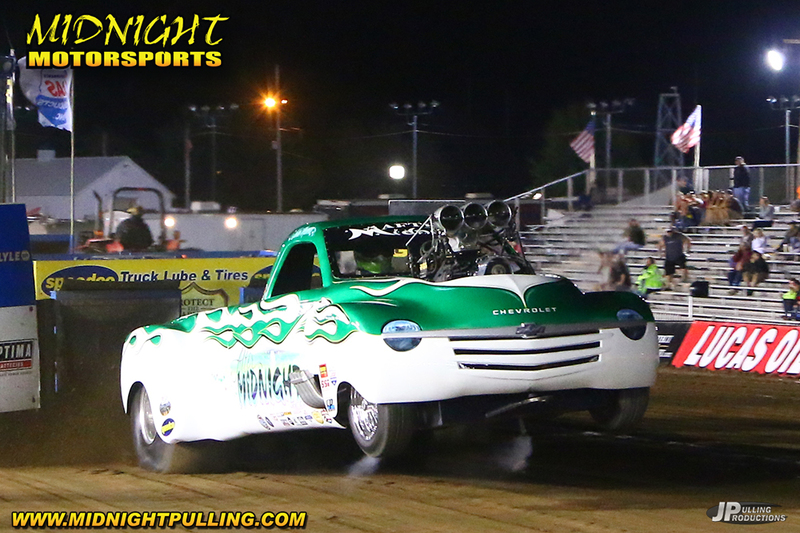 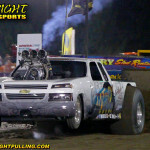 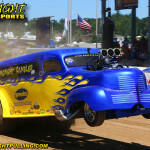 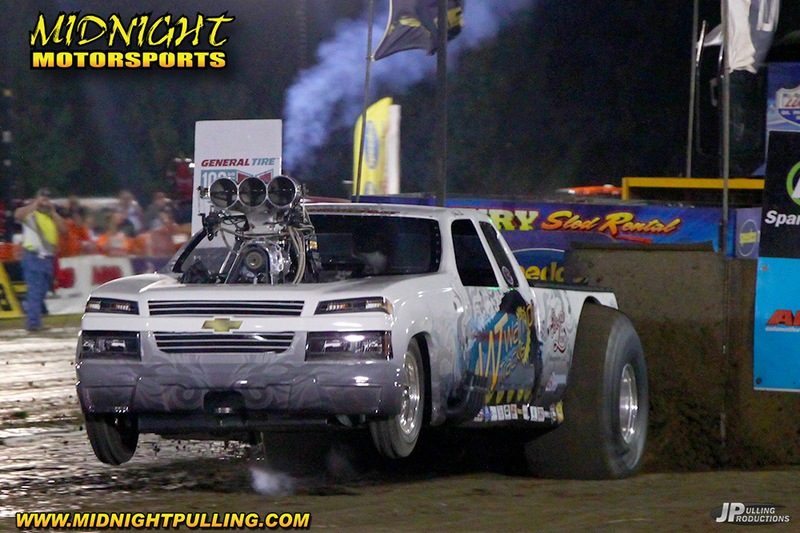 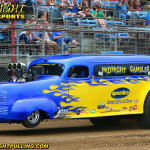 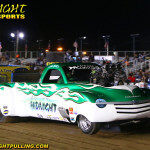 The annual trek to the empire state did not disappoint with hot pulling action both Friday and Saturday night. 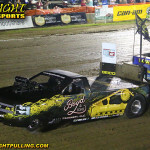 Friday night in Hamburg 20 vehicles answered the call to battle, and when all was said and done, Grayson Shelton had both of his North Carolina based machines in the first two positions. 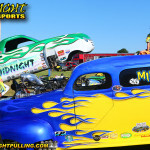 Results for the Midnight Motorsports team were a mixed bag. 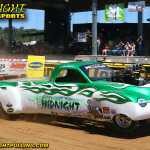 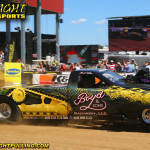 John Mumma finished in Tenth Place aboard his “After Midnight” Chevrolet with a distance of 321.72 Jared Nelson would be next for the team with his distance of 317.83 which put the “Boyd and Sons Midnight Revenger in the number 14 position. 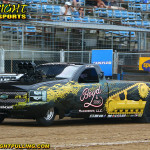 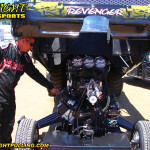 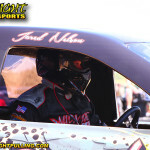 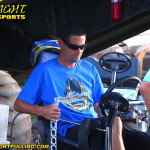 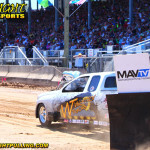 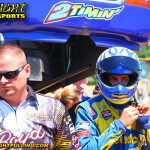 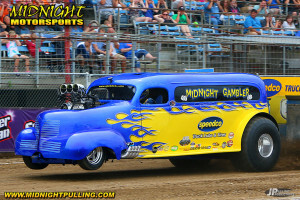 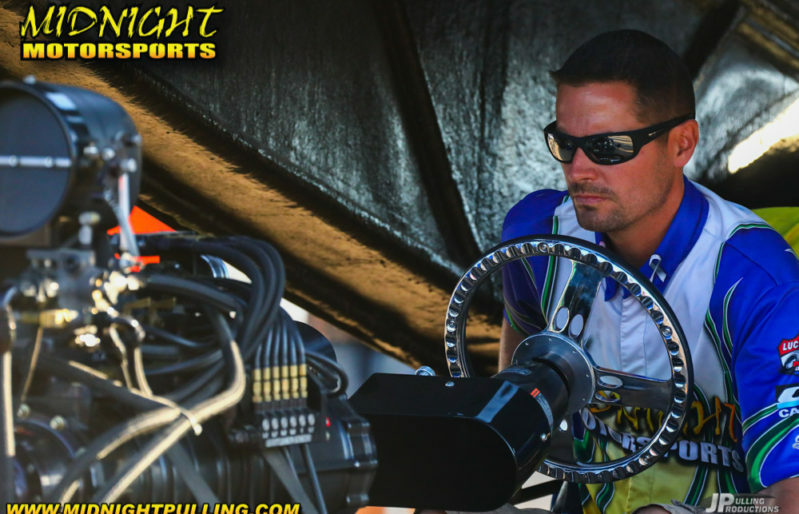 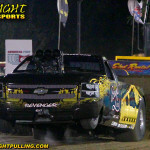 In seventeenth place on Friday night was the “Speedco Midnight Gambler” of Jeremy Nelson with his distance of 312.42. 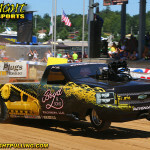 Bethany Nelson would end up 19th in her “Warrior Tracks Sweet Revenge” Chevrolet. 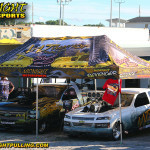 Team Midnight compared notes and made some changes to their setups for the Saturday night show. 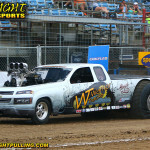 19 trucks would compete this evening having lost one from the previous night. 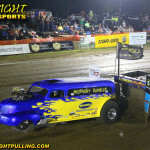 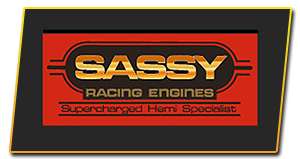 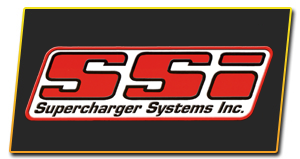 The changes paid off for Midnight Motorsports on Saturday evening as they put 3 of the 4 Illinois based machines in the top 10 positions. 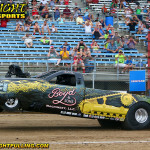 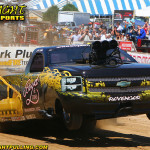 Altamont, Illinois based pilot Jared Nelson took the “Boyd and Sons Midnight Revenger” to a distance of 317.39 which clinched the number 2 position. 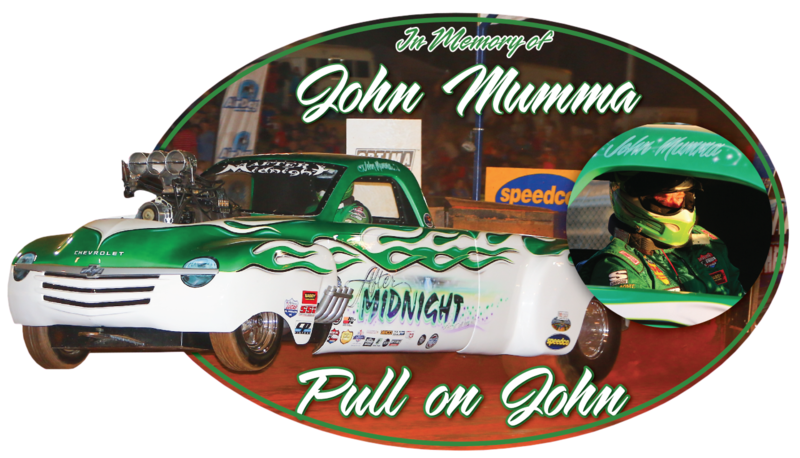 John Mumma was just 2 spots behind Jared in the 4th position with a distance of 310.96. 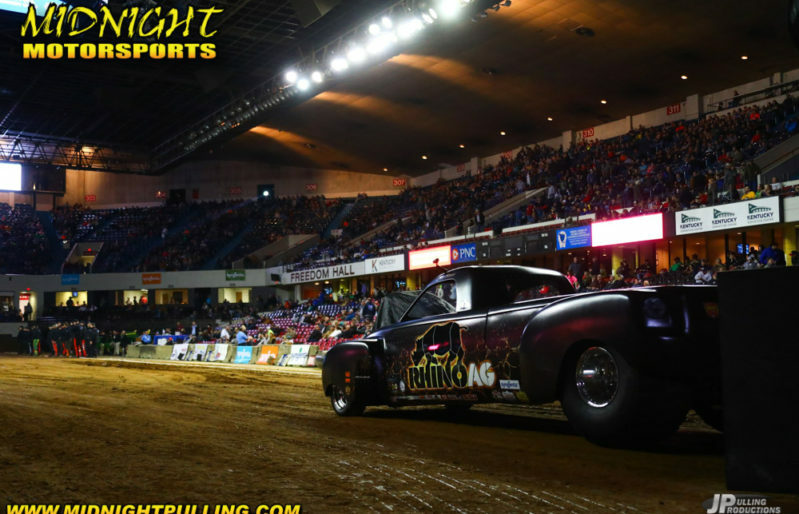 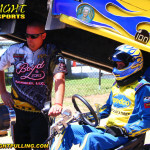 Bethany Nelson improved her position night over night by 9 spots, as she wheeled her “Warrior Tracks” sponsored “Sweet Revenge” to a distance of 304.98 which took home the number 9 position Saturday night. 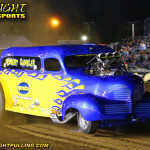 The Team is back in Action in Springfield TN on September the 5th. 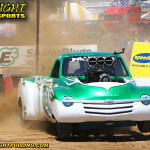 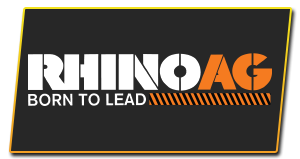 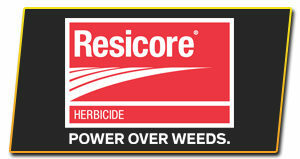 Stay tuned to our website and facebook pages for more info and thanks as always for your support. 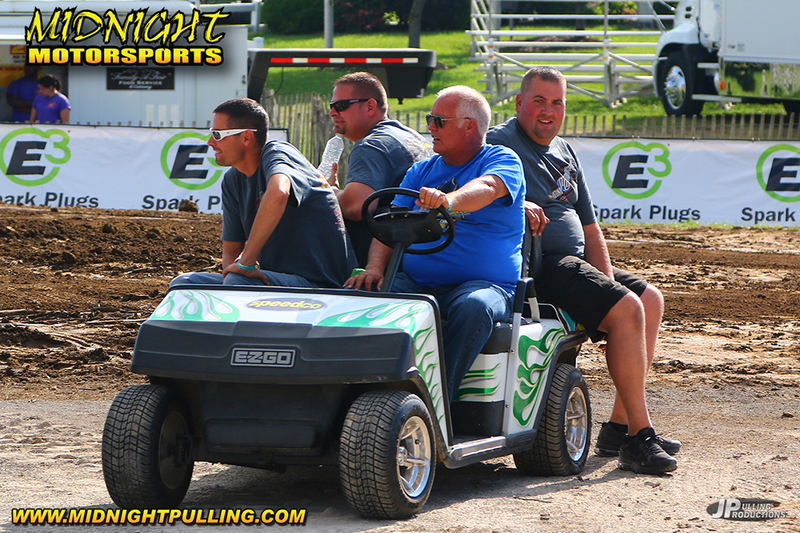 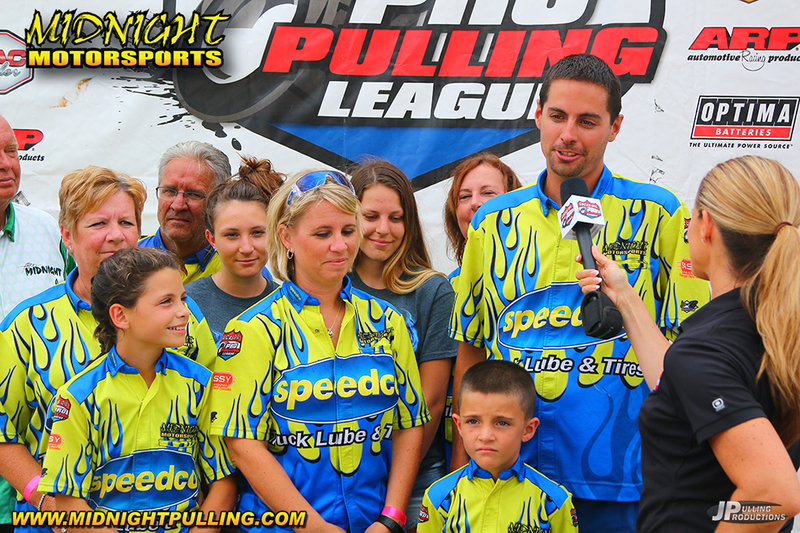 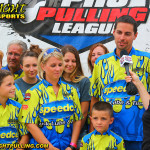 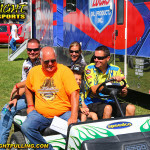 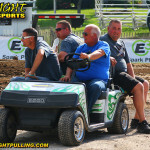 The Lucas Oil Pro Pulling League invaded the Indiana State Fairground in Indianapolis for one of the most prestigious events on the summer tour. 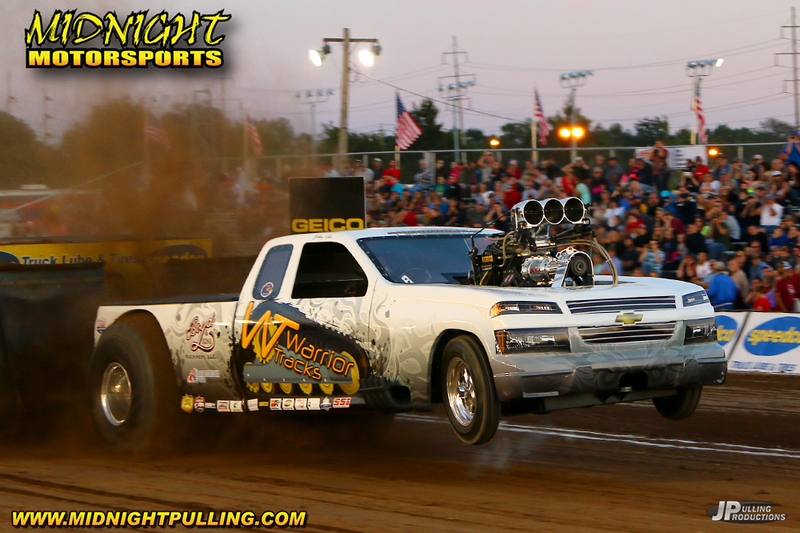 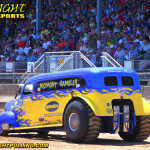 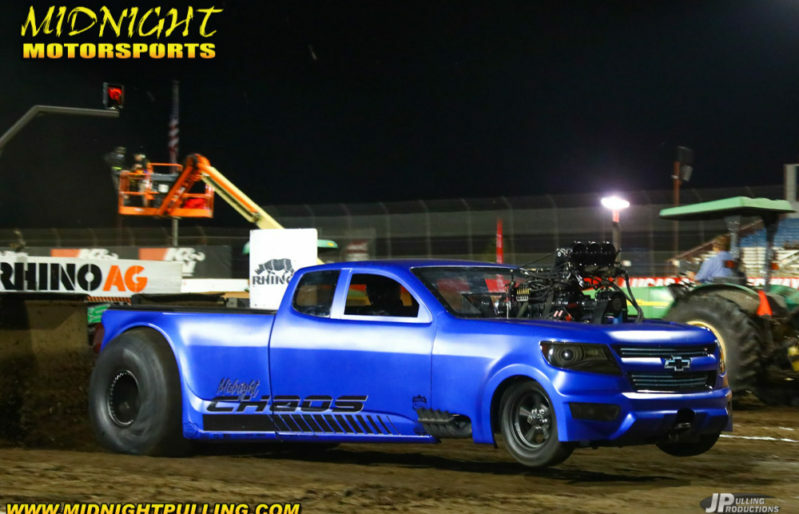 The 2015 Indy Super Pull presented by Speedco. 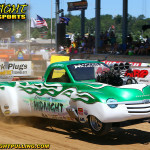 20 vehicles answered the call to battle on the Indy track. 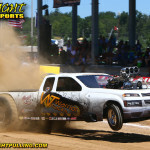 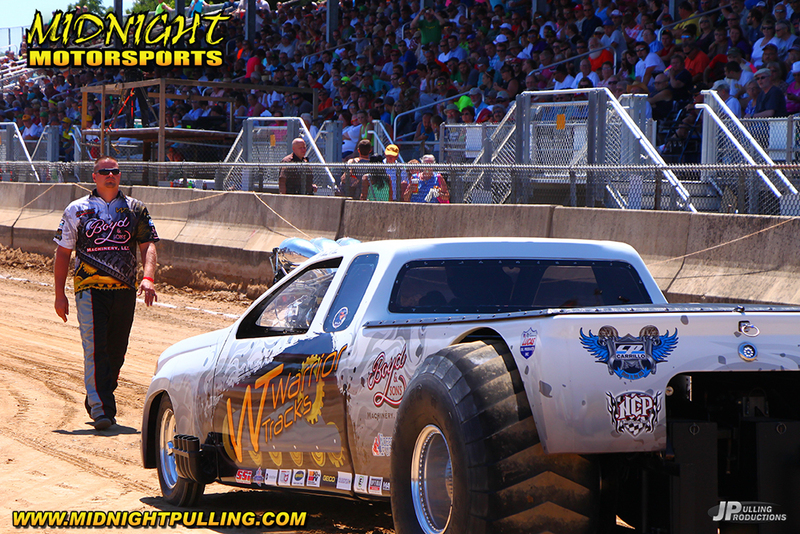 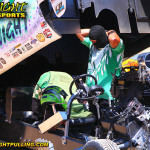 When all was said and done, Midnight Motorsports team member Jeremy Nelson was at the top of the pile. 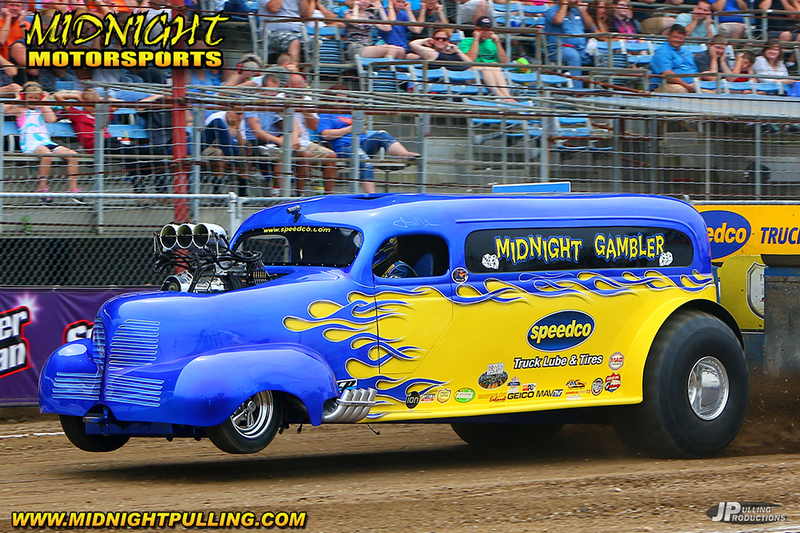 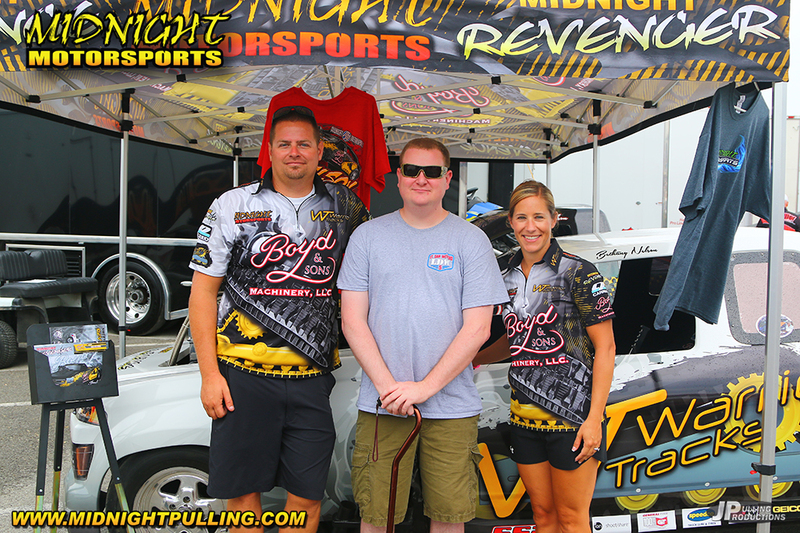 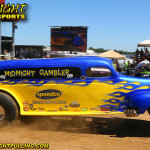 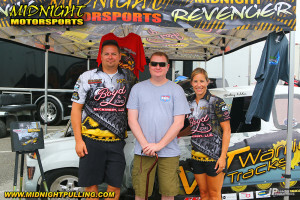 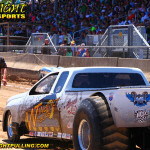 Jeremy won the event behind the wheel of the Speedco Midnight Gambler with a pulling distance of 302.78. 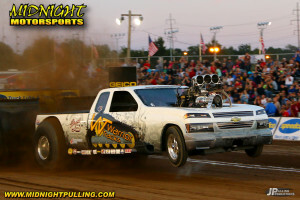 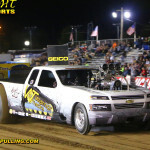 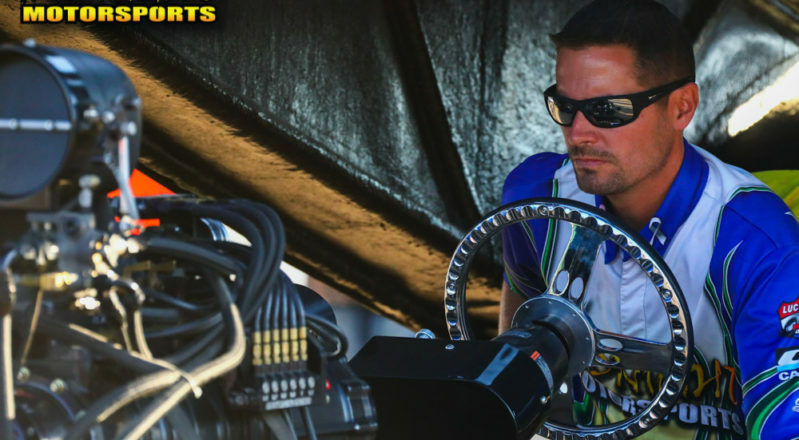 “I am very happy to pick up a win in Indy against a great bunch of trucks, and delighted to get a win for our sponsor Speedco in their hometown” said Nelson after the pull. 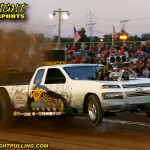 Jared drove the Altamont Illinois based machine to a solid top 5 finish as his distance of 300.23 would be good for the number 4 spot on the day. 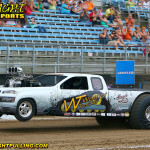 Rounding out the class for the team was Bethany Nelson behind the wheel of her new Warrior Track sponsored “Sweet Revenge” Chevrolet. 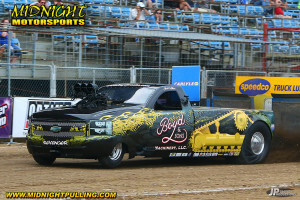 The reigning points champ finished 18 with a distance of 283.28. 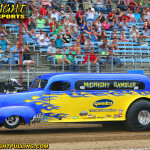 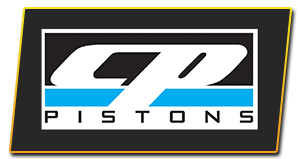 Thank you as always for your interest in Midnight Motorsports and check back soon for updates.